1. Do you skip meals sometimes? I try not to. Though I've been known to snarf down a bowl of breakfast cereal for dinner. 3. Do you like Mexican food? Not especially. 4. Do you like Chinese food? Very much. 5. Do you like Italian food? Even better. 6. Do you like American food? The best! 7. Have you ever been on a diet? Not really, but I should be. 8. Do you like vegetables? Some -- like spinach, corn and peas -- I like a lot. Most? Not so much. 9. On a scale from 1 to 5 how much do you eat a day (1= not eating, 5= eating 3 meals)? 5, I think. This question confuses me. 10. Do you think you eat healthily? Better than I used to, but not as good as I should. 11. Do you think you are ugly? I'm OK.
12. Do you like your hair? Yes. 13. Do you like the way you look? We're obsessing on the superficial this Sunday, aren't we? 14. Would you want to change anything? About what? My life? My face? The world? 15. Do you ever wear a lucky color? Yes. I wear a lot of Cubbie blue (Pantone 294). And it must be working. My heroes have the best record in the major leagues! 16. Do you care how other people see you? Yes. 17. Do you or have you ever worn braces? Yes. 18. Do you wear glasses and/or contacts? Yes. 19. Do you want to gain weight, lose weight, or stay about the same? Yes. 20. What do you do if you have the flu? If I have a fever, I stay home from work and call the doctor. If I don't -- and it's just a cold and not the flu -- I ride it out. 21. How many tries to get your drivers license? Only one. Which amazes me, because I was a terrible driver. 22. Are you saving up for anything in the future? Yes. There are some big homeowner-y expenses in my future. 23. Do you have a lot of spare time? Yes, but I want more! 24. Do you consider yourself a responsible person? Yes. 25. Do you consider yourself a lazy person? Yes. This is The Walking Dude, or Mr. Chicago, as my friend John and I have always called him. If you've spent any time in the city over the last 30 years, you've seen him. His clothes are threadbare but his hair and mustache are always, always kempt. He walks. He seldom speaks -- I don't know anyone who has actually heard his voice -- but it's been documented that he sells wristwatches to cab drivers as they wait at cab stands. Then he resumes walking. Up and down Michigan Avenue. Throughout the Loop. In and around Lincoln Park. 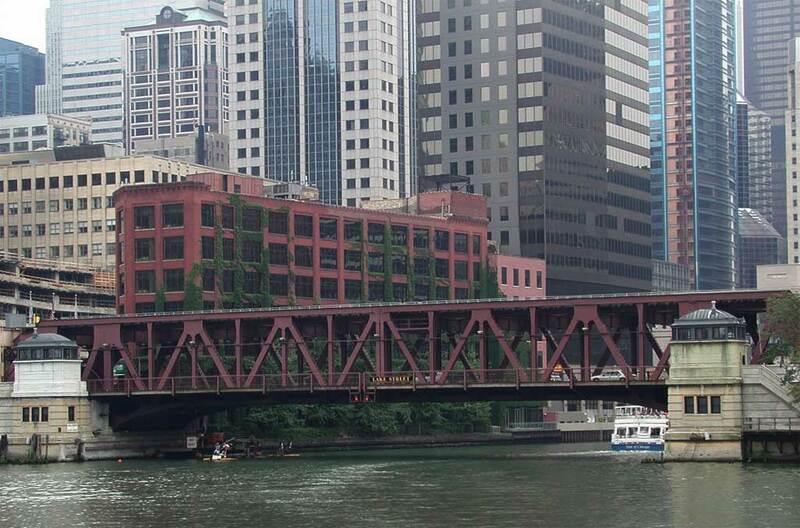 He'll stop to look in shop windows, observe roadwork, or watch the Chicago River flow by. Then he starts walking again. Tour buses point him out, and while visitors shout and wave, he ignores them. Occasionally, on very cold days, he'll accept the kindness of a local coffee shop and slip in for a cup of joe. But for the most part, he enjoys silence. And walking. Until last month, when some thug with a baseball bat assaulted him. Smashed him in the head and across the legs. Why? We don't know. Certainly Mr. Chicago had no money or belongings worth stealing. It's just another example of the rage that's taking over our streets. I was broken hearted to hear this. So were my friends, John and Kathy. And everyone at work. And so many, many people all across the city. To date, more than 1000 Chicagoans have contributed $38,000 to help Mr. Chicago when he's released from the hospital. Ah, but there's the rub. He doesn't want our help. It turns out he has family out in the suburbs, but he has long refused to live with them, preferring shelters. He has spent Thanksgiving or Christmas Day with his brother, sister and nephew, but then insists on going back on the street. To walk. His independence is making life hard for the police and prosecutors. The man who viciously assaulted him was arrested, but Mr. Chicago refuses to press charges. Or cooperate with the police in any way. He never wants to appear in court. He wants to be left alone. Likewise, he refuses to see his nephew or remaining siblings. Without the patient's permission, the hospital can't release any information to them about Mr. Chicago's condition, including room number. They are taking some of that $38,000 and trying to find a lawyer who can force the hospital to release him to his family's care. Because Mr. Chicago may not regain all his sight and could need a service dog. That requires training and a home. I'm reminded of Boo Radley. Remember the end of To Kill a Mockingbird? Atticus thinks Jem killed that awful Mr. Ewell. The sheriff tells him, no it was Boo. But the official report will state that Ewell fell on his knife. Atticus still isn't following, and the sheriff has to spell it out for him. Boo did stab Ewell to defend Atticus' children, but no one must ever know. "I never heard tell that it's against the law for a citizen to do his utmost to prevent a crime from being committed, which is exactly what he did, but maybe you'll say it's my duty to tell the town all about it and not hush it up. Know what would happen then? All the ladies in Maycomb, including my wife, they would be knocking on his door bringing angel food cakes. To my way of thinking, Mr. Finch, taking the one man who's done you and this town a great service and dragging him with his shy ways into the limelight. To me, that's a sin. It's a sin and I'm not about to have it on my head. If it was any other man, it'd be different. But not this man, Mr. Finch." Similarly, this strange and gentle man doesn't want our charity or attention. Like Boo, Mr. Chicago has "shy ways" and is working hard to shun the limelight. It just makes me sad and sick that he may no longer be able to freely wander the streets as he's long chosen to. Here are days 1 through 4 of the Challenge. 1. What famous or fictional person/character did you admire as a child? 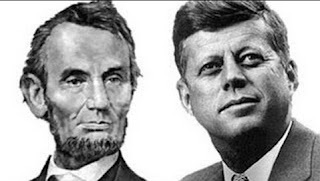 When I was a little girl, I read obsessively about my two favorite Presidents: Abe and JFK. * By the time I graduated from grammar school, I was proud to tell the librarian I had read every book on Lincoln she had on her shelves. Among other benefits, reading about these two men perpetuated my love of reading because they were both book lovers. A lifetime later, I still stop and pay attention to anything about Abe and JFK that comes my way. 2. Plan your last day on Earth. No, thank you. I hope I die suddenly, with no advance warning. 3. If you could wish for only 3 things to come true, what would you wish for? Religious tolerance, serenity for those closest to me, and a winning lottery ticket. 4. What does love mean to you? Putting the well being of another above your own. *Happy belated birthday, Mr. President. 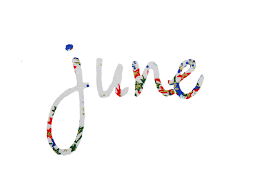 1) This song takes places on "the third of June," which is described as "another sleepy, dusty" day. Describe the weather where you were on Friday, June 3, 2016. It was sunny and about 80º. Unfortunately I was chained to my desk all day. 2) In this song, the family sits down to eat and discuss the doings of their friends and neighbors. Mama, Papa, Brother and Sister were at the table. Who did you have dinner with on Friday? I consumed the salmon fillet and side of creamed spinach all by myself. 3) Young Billie Joe MacAllister playfully put a frog down another kid's back. Do you see many frogs where you live? Nope. 4) This song made Mississippi's Tallahatchie Bridge famous. What's the name of a bridge in your neighborhood? I cross the Lake Street Bridge every day, to and from work. 5) Bobbie Gentry often performed with Glen Campbell. Mr. Campbell's family is very open about Glen's battle with Alzheimer's. Is anyone in your life facing this terrible disease? My friend Mindy's mom may be dealing with it. She's in hospice now, receiving end-of-life care. Her caregivers believe that her "vagueness" may be from Alzheimer's because Mindy's grandmother died from it. However, the lady is dealing with very advanced emphysema and painful arthritis, so her powerful meds could be the cause. 6) "Ode to Billie Joe" was made into a movie directed by Max Baer, Jr. Mr. Baer is better known for playing Jethro Bodine in a famous 1960s era sitcom. Can you name it? The Beverly Hillbillies. 7) Bobbie Gentry made one of her last public appearances in 1981 on The Tonight Show with Johnny Carson. Johnny is now seen in reruns on the Antenna TV channel. Think of the last TV show you watched. Was it new or was it a rerun? I'm watching a Law & Order rerun right now. I'm amazed to report it's one I haven't seen before. 8) In 1967, when this song was popular, Sweden changed its traffic laws and Swedes began driving on the right. Have you ever driven in a foreign country? If so, did you have a hard time adapting to their laws? Nope.